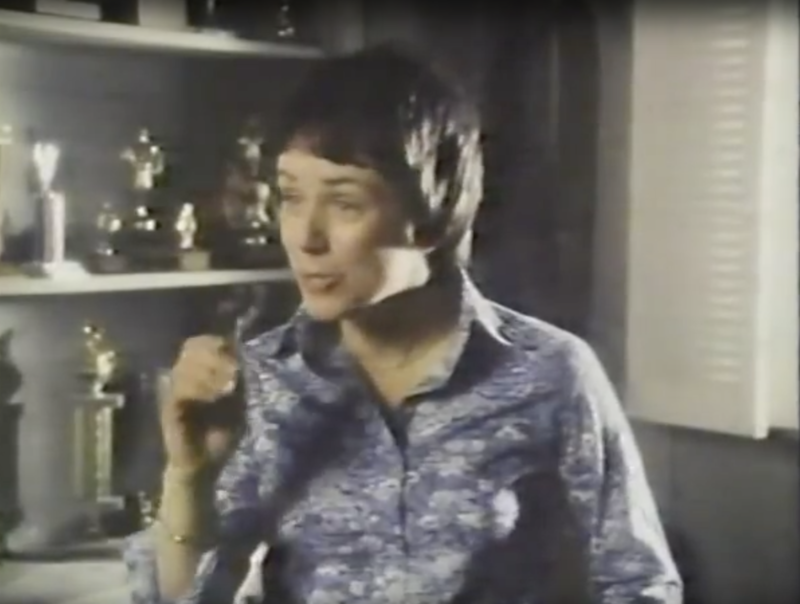 Nancy Greene Raine in 1980 Mars bar commercial. It’s the sweetest time of the year. Canadians are busy baking Christmas cookies and planning holiday meals to be shared with their loved ones. A cup of sugar, a pinch of salt, a stick of butter and a grating of nutmeg often makes for a joyful gathering. As we decorate our gingerbread houses and season our turkeys, what role should the government play in the moment? Should they tax you for using sugar, salt and fat in your kitchen? Should you pay a “sin tax” for serving pop or pickles at your table? Prime Minister Justin Trudeau has mandated his health minister to deal with the amount of “added sugars and artificial dyes” in our diets and his government is now being lobbied hard by public health professionals. Some modern health advocates are now characterizing sugar as a poison, while others want a sugar tax imposed on Canadians in order to fight health problems like obesity. It’s a good time to remember that there was an era when butter and eggs were demonized by experts and margarines and low-fat yogurts were pushed as the keys to diet purity. The government isn’t just interested in what you’re eating, some lawmakers want to change how you feel about what you’re eating. B.C. Senator Nancy Greene Raine has a bill in the federal red chamber that would outlaw any form of advertising of food to children across Canada. That means that Tony the Tiger is erased from the Frosted Flakes cereal box, and no more Chester Cheetah on the Cheetos bag. The proposed law would also ban places like McDonald’s from giving away toys in children’s Happy Meals. Started back in 1979, the Happy Meal began with cheeseburgers, fries and a toy, but has now evolved to include food choices like apple slices and milk with the option for a book. Toys from popular lines like Barbie, Transformers, Super Mario Brothers, and even the Wizard of Oz have all been included. If going to get a Happy Meal toy is a cherished treat in your family, speak now or forever eat your peas. Fun fact: When Raine was an Olympic skier and not an unelected lawmaker, she did TV commercials slinging Mars bars. Other than the intrusion of government into our most personal decisions — what we eat and what we feed our children — the problem with sugar taxes and other punishing food taxes is that they don’t work. They don’t reduce obesity, they don’t reduce caloric intake, and they hit poor people the hardest. The only clear consequence of a sugar tax is that it fattens government coffers. While the oft-cited soda tax in Mexico temporarily reduced sales of pop in that country, consumption levels have bounced back to the pre-tax days and obesity has not lessened. The government has more money though. In the study Sweet Nothing: Real-World Evidence of Food and Drink Taxes and their Effect on Obesity, findings show that when Philadelphia imposed a special tax on pop, many shoppers drove out to the suburbs to avoid the extra cost. This loss of that customer base left downtown merchants with reduced revenues, and so they either increased their prices on all items or folded up shop completely, depriving low-income inner-city people of access to a full grocery store and the healthy foods they sold. The hard truth is that taxes are always just taxes — money taken from people by government. Gas taxes, fat taxes, sugar taxes, liquor taxes or carbon taxes. The politicians we elect and the bureaucrats who rule us from their desks might believe that they know best and that we can be goaded into “good” behaviour by taxes and bans, but the ploy often doesn’t work or the method was misguided in the first place. Governments should stop trying to tax people into behaviour they approve and focus on reducing deficits, enabling innovation and lowering our costs of living, including the cost of taxes. Kris Sims is B.C. director of the Canadian Taxpayers Federation. And yet, after all of this social engineering, the government is still allowing companies to add sugar to table salt……….RIDICULOUS ! !